Susan Simmons of Canada set off today on another one of her mega marathon swims in her Swimming with MS (Multiple Sclerosis) series. For more information and constant updates on her 106 km swim across Cowichan Lake located on southern Vancouver Island in Canada's British Columbia, visit #swimmingwithMS and SwimforPeace. 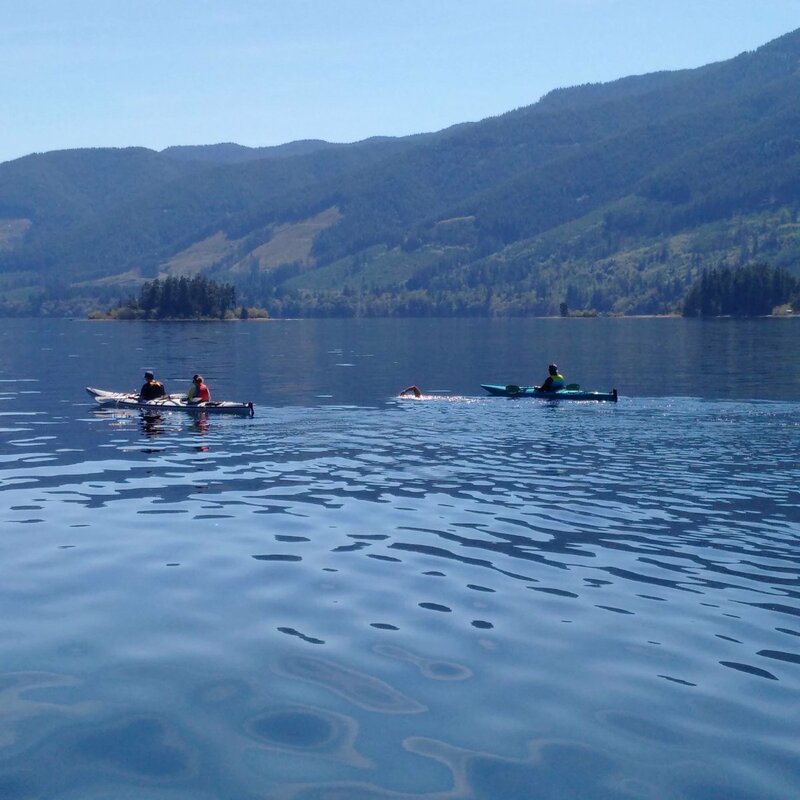 Simmons describes her venue, "Cowichan Lake is about 30 km (19 miles) in length, running mostly from west to east, and is about 4 km (2.5 miles) wide at its widest point."